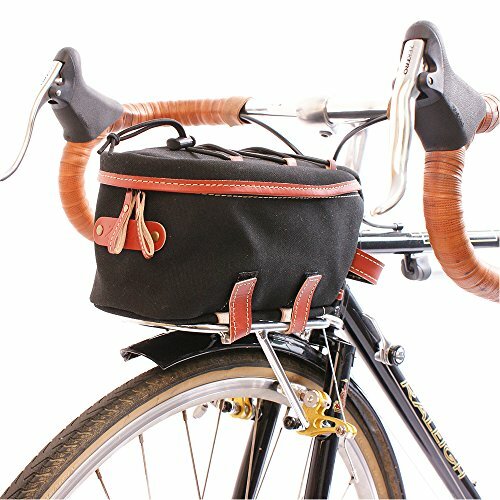 This Zimbale Waterproof Canvas Saddlebag is a 7-liter capacity bag perfect for all your bicycle road trips. It has a hardwood internal support and 3 points attachment with leather straps that will keep your load stable and an omega type metal button for easy cover on/off. In case of daily use and carrying of low weight items, take on and off the bag from the saddle and use only outside of leather attachment. This Zimbale Saddlebag has three zipped pockets (one main compartment and two side pockets) which prevents valuables from popping out of the pockets, leather grip for hand bag use and secret pocket inside the bag for valuables. It also has a useful room at the upper cover for map, pocket book, etc. --> Simply Click "Add to Cart" Button Now And Just Enjoy Your Ride Without Any Worry! This Zimbale Waterproof Canvas Front Rackbag is a 2-liter capacity bag perfect to fit on a Nitto front rack such as the M-18, or the M-12 or the Mark's Mini Nice size. It is made of highly resistant cotton canvas that is treated with paraffin on the outside and PU Breathable Coating on the inside. It is a very compact bag for cyclists who want to travel light, but large enough for the essentials in case of a change in weather. It has a natural leather attachment straps with hook and loop fabric sewn-in, natural leather zipper pulls and carying handle. And for a quick access to your stuffs, the Zimbale Waterproof Canvas Front Rackbag is designed with an elastic string closure on top. --> Simply Click "Add to Cart" Button Now And Just Enjoy Your Ride Without Any Worry! 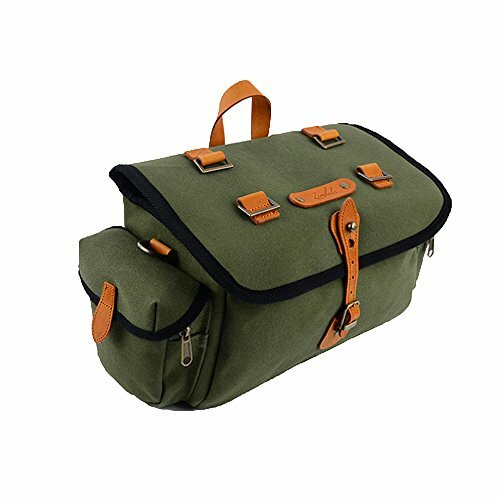 This Zimbale Waterproof Canvas Saddlebag is a 11-liter capacity bag perfect for all your bicycle road trips. It has a hardwood internal support and 3 points attachment with leather straps that will keep your load stable and an omega type metal button for easy cover on/off. In case of daily use and carrying of low weight items, take on and off the bag from the saddle and use only outside of leather attachment. 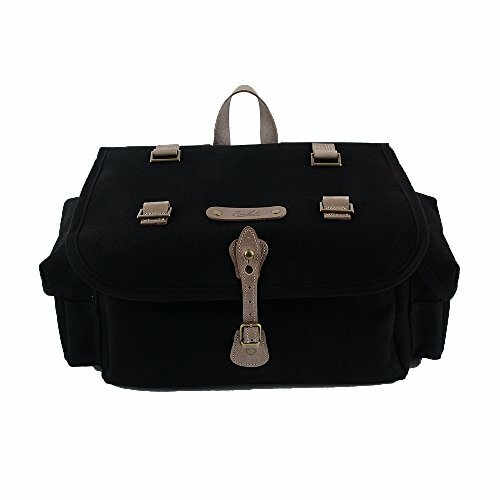 This Zimbale Saddlebag has three zipped pockets (one main compartment and two side pockets) which prevents valuables from popping out of the pockets, leather grip for hand bag use and secret pocket inside the bag for valuables. It also has a useful room at the upper cover for map, pocket book, etc. --> Simply Click "Add to Cart" Button Now And Just Enjoy Your Ride Without Any Worry! 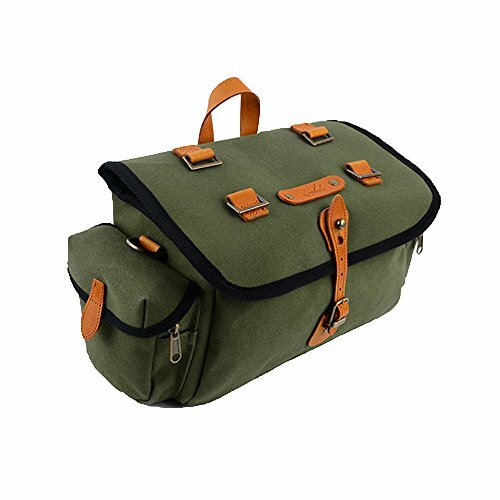 This Zimbale Waterproof Canvas Saddlebag is perfect for all your bicycle road trips. It has a hardwood internal support and 3 points attachment with leather straps that will keep your load stable. In case of daily use and carrying of low weight items, take on and off the bag from the saddle and use only outside of leather attachment. This Zimbale Saddlebag can pack everything, from your tools to your spare tube, map, wallet, energy bars and would even still have a room for a lightweight wind shell! It also has a Velcro type easy on/off cover, and a zippered main compartment. --> Simply Click "Add to Cart" Button Now And Just Enjoy Your Ride Without Any Worry! 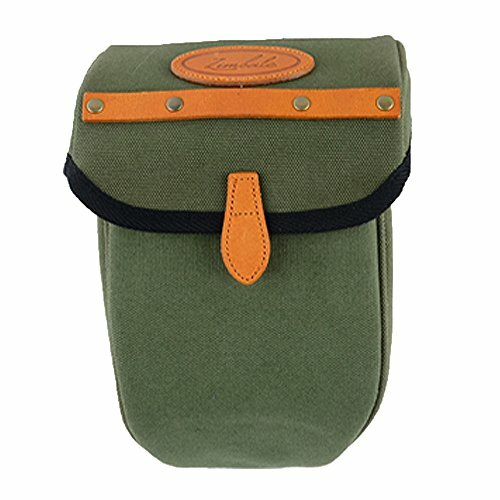 This Zimbale Waterproof Canvas Seat Pouch Bag is perfect for your bicycle road trips. 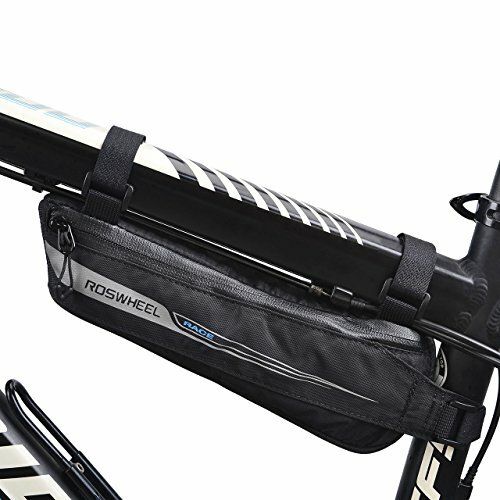 An alternative to your traditional saddle bag, it can pack everything, from your tools to your spare tube, small camera, purse, smart phone, and even your lunch! It also has a Velcro type easy on/off cover, and a zipped inside cover that prevents your stuff from popping out. --> Simply Click "Add to Cart" Button Now And Just Enjoy Your Ride Without Any Worry! 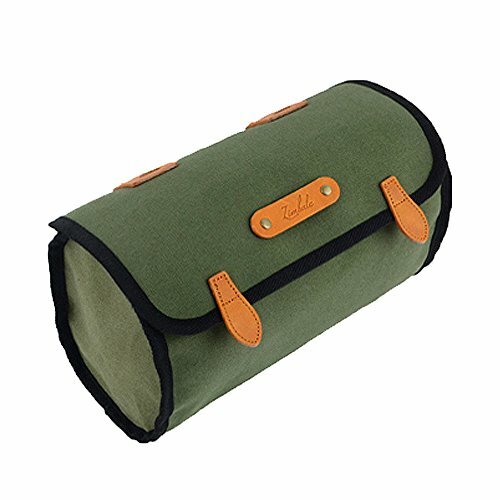 ZIMBALE Bicycle Small Leather Saddle Tool Bag or handle bar bag is made of 100% Italian vegetable cow leather. This handmade and assembled by stitch and rivets, has front straps have magnetic snaps under the buckles for easy opening. --> Simply Click "Add to Cart" Button Now to Experience High Quality Of Material & Craftsmanship! Looking for more Surly Touring Bike similar ideas? Try to explore these searches: Mechanism Part, Loose Powder Container, and Limited Edition Italian. 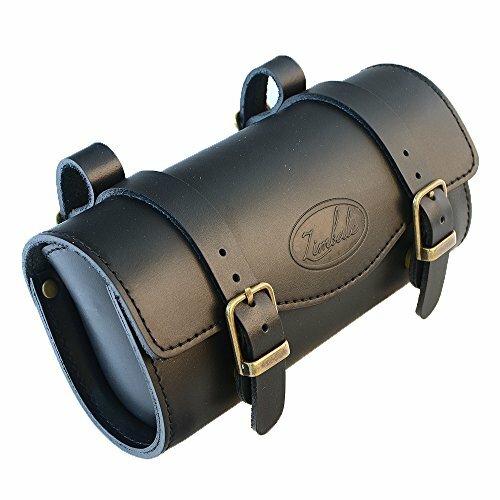 Shopwion.com is the smartest way for comparison shopping: compare prices from most trusted leading online stores for best Surly Touring Bike, Hearts Tri Fold, 2 Basketweave Runner, Surly Bike Touring . Don't miss this Surly Touring Bike today, April 19, 2019 deals, updated daily.